Cooking in the great outdoors . | La Rosilla - Lifestyle and food. Cooking in the great outdoors . Cooking outdoors, in the fresh air, is a part of our life since moving from the U.K to Spain some years ago, that has become a regular affair, and something that we never take for granted. You can’t beat that hunter- gatherer feel, back to basics, fresh ingredients, the smell of wood burning on the bbq or Sardines releasing their oh so Spanish seaside smell into the air. 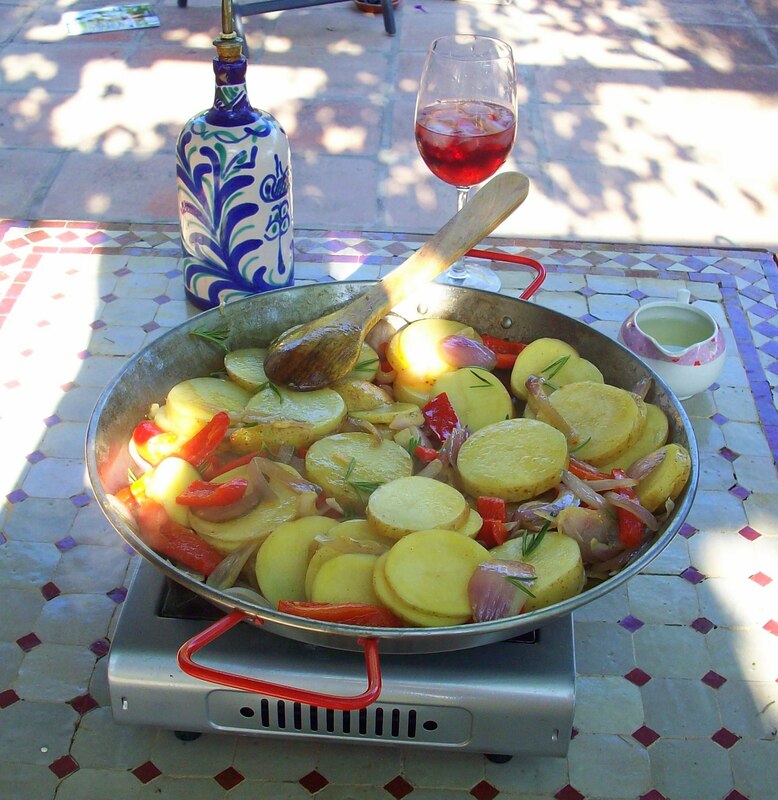 When we have a day in the garden, or should I say on the mountain, chopping logs, pruning, preparing for winter, there’s nothing better than, making a pan of ‘Patatas al lo pobre ‘ a local dishe of potatoes, peppers onions , garlic cooked in stock, wine (maybe my addition) & vinegar, on the gas stove, and cooking some chorizo on the bbq, to eat with chunks of bread, washed down with some local Hooch. All over the world, there are many outdoor cooking styles to be enjoyed and shared, my friend at Cooking Outdoors, believes in getting out of the kitchen, lighting the fire & start cooking outdoors, and reading his blogs, he shares some delightful recipes.